Hear What Our Happy Customer Have to Say. We’ve been servicing sliding door repairs in the Sydney region for more than 25 years and have gathered hundreds of happy customers and lovely testimonials. Here are just a few but you can head over to the Adsafe Doors Facebook page to see more thumbs up from satisfied customers. My patio sliding door suddenly refused to shut. With Easter and an engagement party approaching I wasn’t hopeful that anyone could come promptly to fix it. However, after calling Stephen he assured me that he would come out and take a look at it. I was very impressed- not only was he quick and efficient but he also took the time to explain to me what was wrong with my door and how he was going to fix it. I am beyond grateful for Stephen’s work, I am no longer worried about the upcoming events and am really excited to use our patio again. Quick, friendly , efficient service, thanks Adsafe & Steven for making my sliding door slide again. We struggled with our patio door for two years. It was sticking and jamming and became very difficult to open and close. I got a quote for new doors that was too high for me to accept so the salesman recommended a repairer. I called the repairer and they sent a technician who tried to change the rollers but failed because he couldn’t get the door out of its tracks. After three hours he gave up and left. We struggled on for another year and then I found Adsafe. Stephen and his lovely daughter had the door rolling with one finger pressure in less than a couple of hours. It is SO NICE to have a door that slides so easily. Thank You Adsafe. Michael. Telopea. We have put together a short video showing real-life testimonials with before and after shots. Click the play button below. 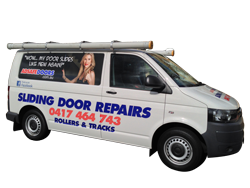 We greatly appreciate any feedback you are able to give so prospective customers are able to get a feel for the type of service we offer when it comes to all your door repair needs in Sydney. To leave a testimonial, simply click on Google Review, Facebook Review, True Local Review or enter your comments in the fields below and hit ‘Send’. Below you will see many of the testimonials we have collected over the years. Many have been removed as there are just too many to show after 25 years. Click play on the video below to see a sliding door repair ‘Before and After’ with a door from the 1970’s. Click play on the video below to see an Airlite sliding door repair from one of our many happy customers. Six months ago our sliding door was “stuffed”, to put it crudely. Attempting to open or shut it challenged my limited strength and energy. (I am 80, my husband is 84 years old). After being repaired by Adsafedoors, the change is remarkable. We can now open and shut the door with ease and I am constantly at the beck and call of ten cats and two dogs wanting to come in and out all day. (My dogs wanting to run around the yard, the cats limited to an enclosed back verandah so as not to raise the ire of neighbours). I can heartily recommend Adsafedoors to anyone with a problem opening and shutting a sliding door. I cannot believe I was actually considering replacing my doors before finding Steven and the Adsafe team, he was prompt, friendly and professional. Took the time to explain to me the issue and give me a quote. He managed to fix my balcony that afternoon and I cannot believe the difference today. THEY SLIDE LIKE A DREAM! I used to have to put all my body weight behind the glass door to open it which was irritating and noisy, I can basically now open the door with one finger! Its incredible! Thanks so much Adsafe, you solved my issue competitively and successfully. I am very happy and cannot wait to use my balcony in Summer! Cant thank you enough! It has now been over a year since the doors were repaired. They are working as perfectly now as they did on day one. Worth noting that this was obviously a professionally done job. My sliding patio door was sticking, jamming and coming off the tracks. At my first phone contact with ADSAFE, Steve told me the scope of work, the replacement product he will be using, and the exact cost. I found him to be a very polite and proficient tradesman. I am very happy with the end result. My bathroom sliding cavity door had come off the rails. I called Adsafe Doors Services and they promptly fixed it. Thank you Stephen for your professional service. Adsafe technicians attended as arranged, were efficient, courteous and clean workers. We recommend them. Our large sliding doors were jamming and making a noise when we tried to open them. They required two hands to get them sliding. Adsafe Doors were very helpful in making our doors usable again. It was worth the money because we now have finger tip movement of our doors. My rear sliding door was very difficult to move. Stephen and Jess arrived on time and fixed the door within an hour. It now slides very smoothly, better than when first installed. They were both professional and I would recommend to others. We are extremely happy with the repair work done on our sliding door. We can now open and close the door effortlessly. Stephen and team were professional and efficient. Highly recommend. We struggled with our patio door for two years. It was sticking and jamming and became very difficult to open and close. I got a quote for new doors that was too high for me to accept so the salesman recommended a repairer. I called the repairer and they sent a technician who tried to change the rollers but failed because he couldn’t get the door out of its tracks. After three hours he gave up and left. We struggled on for another year and then I found Adsafe. Stephen and his lovely daughter had the door rolling with one finger pressure in less than a couple of hours. It is SO NICE to have a door that slides so easily. Thank You Adsafe.